People take the time to comment on your blog so you should at least answer their questions or somehow thank them for visiting your blog. If you only blog to make money with the help of ads your blog design will be afflicted. 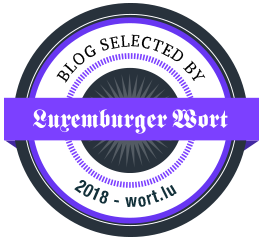 If you want to advertise on your blog make sure that the ads are interesting for your readers and that there aren´t too many advertising widgets. If you don't read a post then you shouldn't comment on it. Don't you think it's quite embarrassing to write "I love your outfit" when the blogger clearly stated that it's her sister's/friend's outfit? If your blog design looks like a birthday party no one will take your content seriously. The same goes for smileys. At times it can be hard not to type the famous ":" and ")" but there are other ways of expressing irony and cheerfulness. When arranging your design you should make clear that your texts are easy to read and that your design doesn't detract from your content. For example black backgrounds with pink font seem to be quite unpopular. Play lists can be really annoying for example when you are listening to your own music and have opened several tabs and don't know where this new music is coming from. Also please consider that everybody has a different taste! If you want to add music to your blog you should do so by Youtube videos which we can play if and only if we want to. Nobody is perfect and most of all nobody's grammar is perfect but you should make sure to use the spell check (for blogger blogs it's the little tool that says "abc✓" in the tool bar over your post window) to avoid the crudest mistakes. If you just comment on order to advertise your own blog people will notice. If you want to advertise your blog please do so on Facebook or other social networks. The comment form should only be used to leave relevant feedback on a blog post. If your blog has a good or interesting content people will follow you, all you need to do is advertise (see #3) it and be patient. Asking people to follow you brings them in a double bind if they don't like your blog enough to follow it. Also if at the end of let's say a year you got a lot of new followers by asking them to follow you, how can you know who really likes your blog and who doesn't? Also people that just followed your blog because you asked them too will probably forget about your blog quite quickly and not read it and this can't be what you want to achieve, right? I know it helps to prevent spam but a lot of people think it's annoying to fill it in so if you want more comments you should think about removing the captcha code. I think we're all guilty of the one or the other point, for example I had the captcha code for such a long time even if I disliked it on other blogs. However let's not forget that if you like the one or the other mentioned aspect on your blog then why should you want to remove it? Because after all the first person that should like a blog is the blogger him/herself! I hope that this post was helpful and that it wasn't too offending for the one or the other but if you want to take your blog to a more professional level you should really consider some of these points. 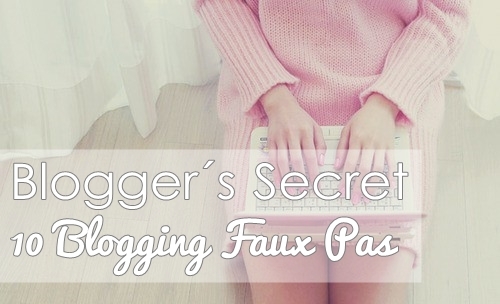 Which blogging faux pas have you been committing so far? Are there other things that really annoy you in the world of blogging? Oh and I almost forgot the most important question: do you like this kind of posts and do you want me to write more of these? thanks for sharing this post... sometimes people don't read the post or write the same comment in every blog..
i agreeee with youuu!! in everything!! hahahaha funny post! love this post, haha. I totally agree about the "fun" cursors. They really slow down the loading time for people with not so great internet so they'll exit ASAP. good advice! Great great tips, really! I agree with you - I always answer every comment, but on the bloggers' blogs. And I agree too about reading. We always read comments like "great outfit", or two words to saying "great post", just to have the blog advertised. And the contents are not important to those bloggers, but alas, I try to write just a very few words, cause I know a few people like reading... One thing only I have to kind of disagree... I had to create an account on wordpress just to be able to comment on some blogs... and google mail too. Then it doesn't work if people leave me a comment there. I normal leave my blog's name just after my comment, not below it, cause I am not advertising it. So that the blogger can come back to me, but other bloggers won't really notice it! I am totally agree with you ! I hate Captcha code ! I love this post, I agree with everything you have written here Carmen, brilliantly said. Unfortunately, I tried to undo my captcha code feature for just a day and during that time I received hordes of spam comments. I sadly have to use it. I am 100% with you on points 9, 5 and 2. These often find themselves a nuisance. Really great post hun, I apologize in advance about the word verification code on my blog. Very good tips all liked a lot and I thank you very much for sharing your knowledge about blogging with your readers. The Unrelated Comments can be really tedious but i just end up laughing and not commenting back anymore to that persona, the same for the ones who ask for follows. This is a great post! I would like more of these, please! I really don't like how some people never, ever, ever comment back. There are 2 or 3 blogs I follow that I really love, and I comment on every post, but after 2 years, those people have never, ever even looked at my blog! I always try to comment back. It's nice to communicate with people! Unrelated comments are annoying as well. But they can be funny. I agree with many of these, and am glad that a blogger is finally pointed them out. I just stumbled across your blog, can't wait to read more! im all for this!! I'm not the biggest fan of the "follow for follow" ordeal!! as well as the animated cursors!! aaahh!! drives me cray cray! hahaha! Great tips! Some things one wishes to have known before but we learn through trial and error... What I find most off putting are music playlists. Tolle Tipps! Mich nervt es auch total, wenn andere Blogs Musik spielen lassen oder tausende Werbebanner schalten! Love this post! I think many should read it, as I agree in most of them!. The music is one of the most annoying ones...it drives me NUTS! And so the captcha... after trying 3 times and failing... I just give up! I agree with everything. You sometimes really see cringeworthy stuff on blogs. Sehr gut zusammengefasst! Ich unterschreibe alles mit, was du oben so nennst, vor allem die Codes sind so nervig, ich kann die nie lesen und schreib was falsches in das Feld!